Kempten, January 23, 2018. Jochen Müller took up the role of Chief Operations Officer (COO) for Dachser’s Air & Sea Logistics business field on January 1 , 2018. He replaces Thomas Reuter, who retired at the end of last year after 39 years at Dachser. 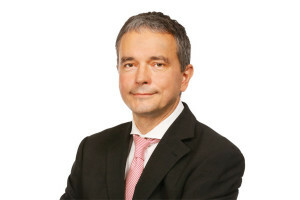 Müller joined Dachser on October 1, 2016 to prepare for his duties as COO. Dachser employs some 27,450 people at 409 locations worldwide, and is represented by country organizations in 43 countries. In 2016, the company generated revenue of 5.71 billion euros and handled a total of 80 million shipments weighing 38.2 million metric tons.